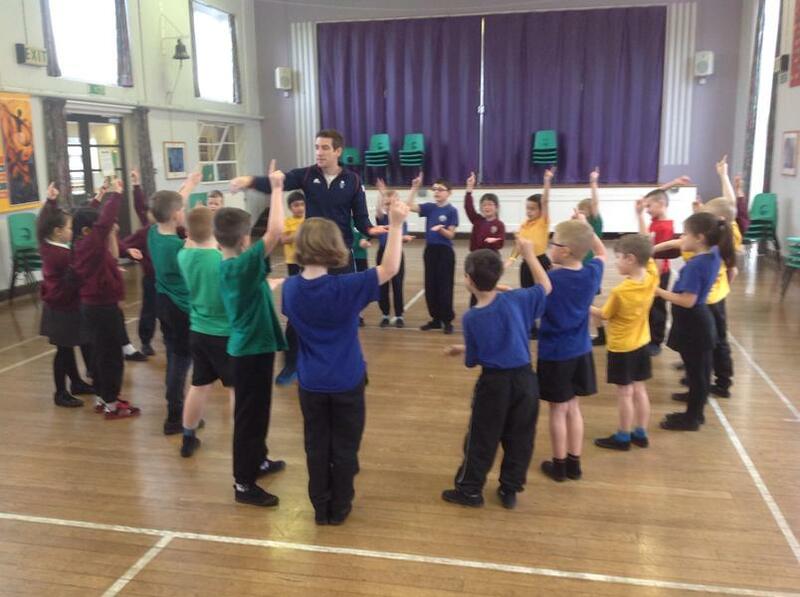 On Wednesday 10th February the pupils of Holy Trinity & St John’s Primary School, Margate were inspired by a visit from former GB Olympic swimmer Chris Cook. The visit was part of the INSPIRE project in the lead up to the 2016 Rio Olympics games and aims to use sport as a means to improve the outcomes for children and young people. Chris Cook delivered workshops throughout the day to pupils which focused around the idea of pushing yourself out the comfort zone and stretching yourself to be the very best. The pupils were clearly enthused by his work and were keen to ask many questions about his personal achievements in swimming and any tips they could learn! All in all it was a fantastic experience for the school and a great learning experience for the pupils.